Add some turkey bacon, glass of juice, half a gallon of water… you’re all set. 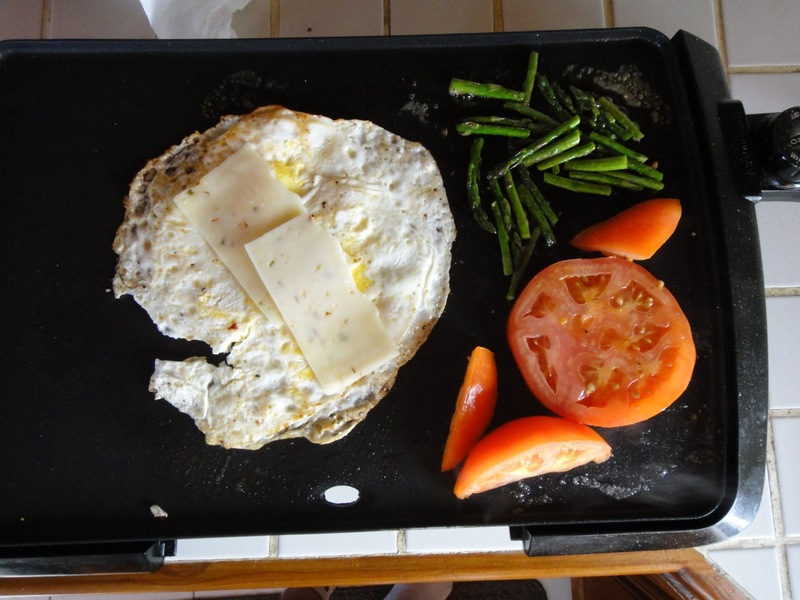 That little griddle has served me well, cooking breakfast and other meals for more than four years now. I did away with the full-size stove. It threw too much heat into the shack. Better to have a grill outside and this little Presto number on the inside. Efficient, inexpensive, perfect. Eat well. You’re worth it!